“A city of neighborhoods.” That’s the slogan, anyway. Across its five boroughs, New York has hundreds of individual communities, each with its own unique characteristics. And while you can find something good to eat in virtually any one of them, not every one is worth the schlep when you probably have something comparable in your own part of town. So, we ranked 18 of the most popular dining neighborhoods in New York City, taking into account a variety of things: an abundance of restaurants (obviously), both high- and low-brow fare, a diverse range of cuisines (sometimes even cuisines within cuisines), and, overall, whether or not they’re exciting, fun places to visit, eat, and explore. Of course, we tried to be as methodical as possible, but this isn’t Popular Science, so don’t stone us over our choices. If we left out your favorite eating neighborhood, make a case for it in the comments. 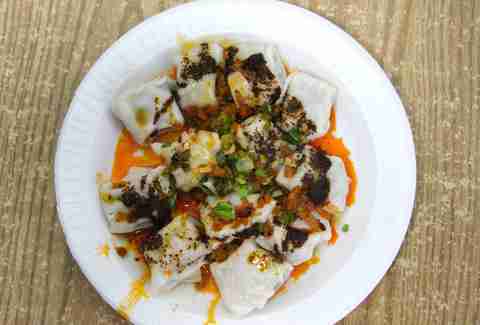 People head to Sunset Park for two things, really: tacos and dumplings. 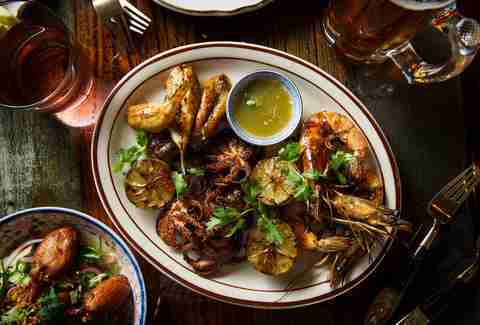 The diverse South Brooklyn community, sandwiched between Greenwood Cemetery and Bay Ridge, is split into a pair of eating zones: on the west side, you’ll find Latin American food, and on the east side, Asian food. 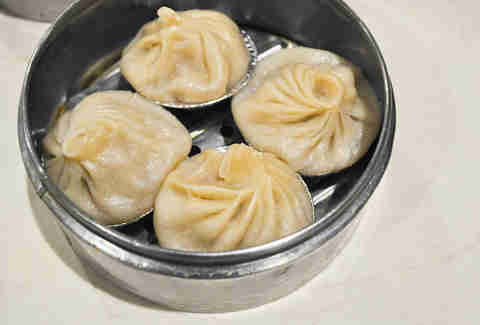 Dim sum, in particular, is the neighborhood’s strong suit, with several of the city’s best Hong Kong-style banquet halls, including the freshly remodeled Pacificana, the first place that got people thinking of Sunset Park as a dim-sum destination to begin with. 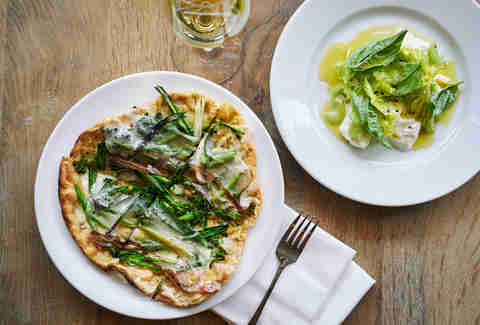 But while all the affordable food merits a day trip, there’s still not a lot going on here in the way of dinner spots. While Curry Hill is still a haven for a great Indian food, some of the very best can be found in north-central Queens. Jackson Heights is home to the venerable Jackson Diner, which offers a vast (and crazy cheap!) buffet of curries, biryanis, and the like. 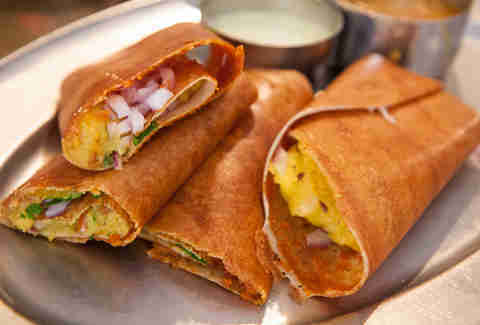 You’ve also got vegetable-focused South Indian specialists like Dosa Delight and Samudra; Tibetan dumplings from Lhasa Fast Food, which operates out of the back of a cell phone store; and arepas from the neighborhood’s renowned Arepa Lady, who parlayed her popular food cart into a bonafide brick-and-mortar location. Chef Tony Liu (formerly of Morandi and Pulino’s) is also set to open his new American bistro the Queensboro later this winter. But, as with Sunset Park, Jackson Heights is still growing as a dining neighborhood, and isn’t as dense as other destinations. If you’re looking for the city’s best Chinese food, you’re not going to find it in Manhattan. While Flushing offers a much more diverse selection of regional Chinese food (and thus a higher ranking on this list), Manhattan’s Chinatown is a highly concentrated area of great, affordable eats -- perhaps the best representation of that in the entire borough. 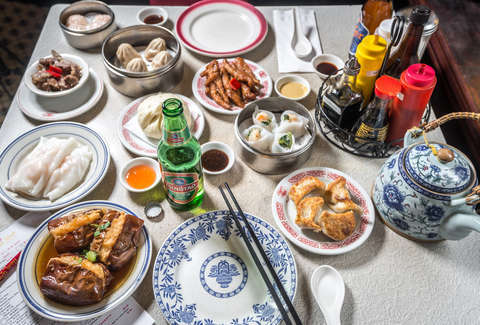 The best way to have a solid Sunday is to pass on that Lower East Side boozy brunch and head west to wander Mott and its surrounding streets: grab plates of dim sum at Nom Wah, potstickers and noodles at Lam Zhou, and Peking duck at Peking Duck House. And then head to Flushing the next weekend for even better Chinese. The West Village will always be the neighborhood that answers the question “Where should we go for dinner? Somewhere quiet and cute.” Whether you’re eating April Bloomfield’s famed Roquefort burger at the Spotted Pig at 5:30pm because that’s the only time you could get in, or spending your life savings on the best sushi of your life at Sushi Nakazawa, your dinner will be “quiet and cute.” That’s not to say it won’t be noisy inside many West Village restaurants, or that the interiors won’t sometimes be a little unappealing, but there’s something inherently calm and serene about the neighborhood, so that when you spill out onto the sidewalk after eating a $32 Black Label Burger at Minetta Tavern, or a $10.75 Bistro Burger at Corner Bistro, you can’t help but have one of those exceptionally cheesy but secretly deeply gratifying “ah, this is why I love New York” moments. And then a rat will probably run over your foot and the moment will be over. This leafy Queens community has always been the city’s go-to spot for Greek cuisine, with places like Agnanti, Taverna Kyclades, and chef Michael Psilakis’ modish MP Taverna. But there’s a lot more to the area than just gyros and grilled bronzino. The neighborhood now offers ramen at HinoMaru, Thai food at Pye Boat Noodle, Cajun dishes at Sugar Freak, stick-to-your-arteries American classics at Queens Comfort, as well as one of the buzziest new barbecue joints in town, pitmaster Josh Bowen’s Texas-themed Mothership. 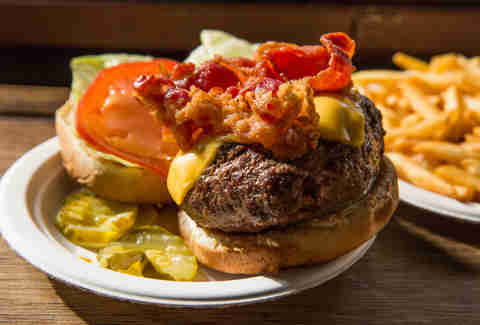 You can even try a kangaroo burger at at Australian-inspired Thirsty Koala. As varied as the options may be, there are often big gaps in between the popular places, save for a small concentrated section along Ditmars Blvd, which makes hopping around from place to place difficult. It’s not often someone suggests eating in SoHo, unless they flew in from Germany or Minnesota that morning and spent the following three hours inside Zara buying sequined knitwear. But the fact of the matter is, tourists or not, SoHo is a dining destination, albeit a generally expensive and almost entirely Western-Europe-influenced one. That’s most of what you’ve got here: restaurants like Charlie Bird, for trendy, date-night Italian and ‘90s hip-hop; or the Estela team’s new Cafe Altro Paradiso, also for some more trendy, date night-Italian (minus the ‘90s hip-hop); or, just 10 minutes away, Daniel Rose’s still new but acclaimed Le Coucou, which officially gives Balthazar a run for its money as the reigning neighborhood fancy French food destination. In addition to the fact that the food scene really isn’t that diverse, SoHo’s major downfall will always be the fact that there isn’t enough space to walk down the street, let alone grab a seat at a table. Beyond Rao’s, the famous Italian restaurant that could make even a Goldman Sachs exec feel like a peasant with its notoriously impossible-to-crack door policy in town, Uptown Manhattan is traditionally known for its soul food, exemplified by longstanding institutions like Sylvia’s and Melba’s. 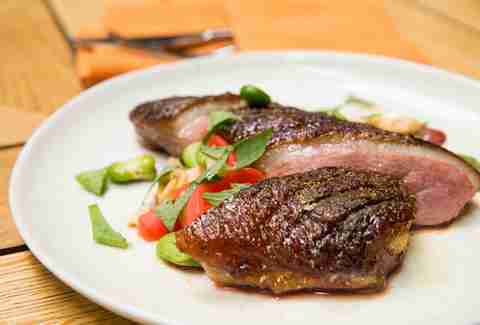 A decade ago, celebrity chef Marcus Samuelsson added a contemporary gloss to this comforting style of cooking with the opening of Red Rooster, which still draws crowds to the neighborhood. 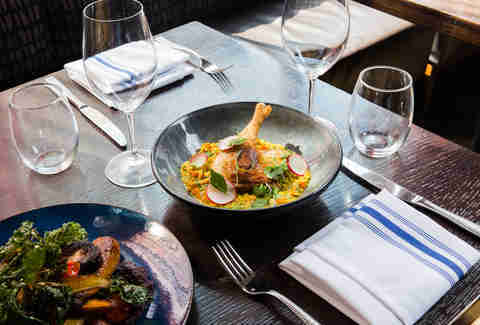 Over the past few years, Harlem has gotten a fresh injection of cooking talent, most notably at The Cecil, where chef JJ Johnson is doing incredibly interesting African-inspired dishes like tamarind oxtails, and Mountain Bird, which takes the art of poultry preparation to unprecedented heights. Newer addition B2, with its sleek surroundings and fresh seafood, keeps the momentum going. It’s no doubt a dining area on the rise, but Harlem still very much lacks the critical mass of some of its neighbors Downtown. What sets Carroll Gardens apart from its virtually indistinguishable leafy, brownstone-lined South Brooklyn neighbors is the higher concentration of destination-worthy restaurants. 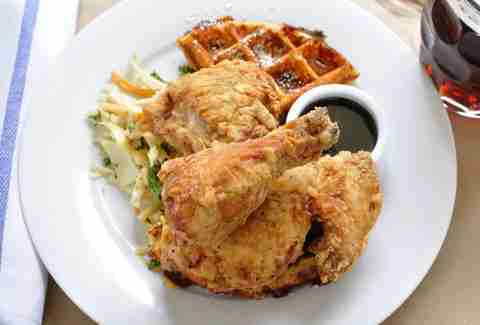 Among these are a couple of places where you can get Southern-style fried chicken at Northeastern-style prices -- Buttermilk Channel and Wilma Jean -- as well as a highly esteemed pizzeria, Lucali, known for attracting local power couple Jay Z and Beyonce. But maybe the single most defining location is Frankies 457, a quintessential neighborhood restaurant that hints at the area’s past as a working-class Italian-American enclave while also providing all the modern refinements of its present-day bourgeois-bohemian reality. 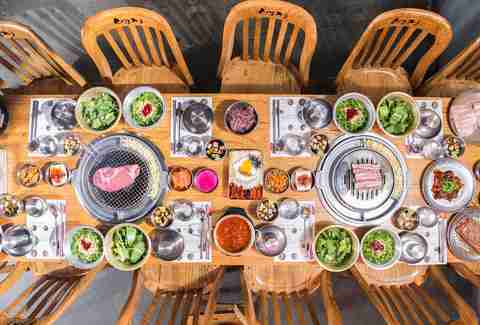 Korean food, particularly KBBQ, has never been more popular in New York. Flushing is home to some of the very best (are you sensing a trend here? 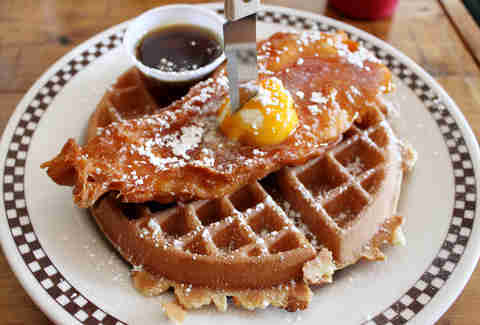 ), but Manhattan’s Koreatown is still its own distinct (however small) dining destination. The heart of the area is the very tiny strip of W 32nd between Broadway and 5th Ave, where you’ll find places like Kang Ho Dong Baekjeong, the exceedingly popular South Korean mini-chain that started in Flushing and has another location in LA (and was, until recently, helmed by Momofuku vet chef Deuki Hong). The rest of the strip is mostly made up of no-frills 24-hour spots, like Muk Eun Ji, which is known for its kimchee, and Shilla, which touts some of the best pork belly in the city. For more modern Korean fare, there’s Her Name Is Han, just around the corner. Of course, the very best time to eat in the neighborhood is post-karaoke, preferably around 2 or 3am. (Late-night spot Pocha 32 is great for this.) Though dense with dining places, Koreatown loses points for being so small, and for lacking the swath of excellent Korean supermarkets and (like Manhattan’s Chinatown) the greater diversity that Flushing offers. Nolita is a pizza neighborhood. That makes sense, given that 20 years ago, before realtors tried to capitalize on an influx of trendy stores and restaurants by giving the area a jazzy portmanteau, it was still considered part of Little Italy; it's that history that gives the area a decent high- and low-brow mix. Prince Street Pizza is arguably New York’s best slice joint (mainly because of that Spicy Spring square), while Pasquale Jones holds it down on the trendy/expensive front with its remarkably good clam pie. Mulberry Street itself could represent the area as a dining destination -- particularly the block between Prince and Spring where you’ll find Major Food Group’s Parm doing dressed-up Italian-American, more pizza (this time of the thin-crust variety) at Rubirosa, and several other solid lunch spots (Ruby’s for burgers, Grey Dog for coffee and sandwiches). While it’s easy to rope Nolita in with SoHo, the sliver of a 'hood is truly its own distinct food neighborhood, and there’s something kind of nice about the fact that it stays (somewhat) true to its Italian-American roots. Chelsea is a big neighborhood full of big-name chefs doing big-time stuff. Between the first non-Philly outpost of Michael Solomonov’s Israeli spot Dizgenoff (located inside Chelsea Market), Mario Batali and Joe Bastianich’s long-awaited Del Posto follow-up, La Sirena, and David Chang’s Korean-inspired Nishi, the neighborhood is hardly lacking in star power -- but it still feels less exciting and diverse than more fresh-faced parts of Manhattan and Brooklyn, and the sudden exit of Tom Colicchio’s high-end Colicchio & Sons a few months back doesn't help. There’s a lot to like about these adjoined-twin communities abutting Brooklyn’s scenic Prospect Park. Down in the Slope, you’ll find beloved stalwarts Al Di La and Stone Park Cafe -- both of which continue to crowd the sidewalk with waiting customers despite their veteran status -- as well as newer standouts like the Vietnamese-inspired Bricolage, with its lush backyard, slick wine list, and brightly spiced dishes. Meanwhile, up in the Heights, the borough’s most critically acclaimed restaurant in years, Olmsted, casts a spotlight on the surging vibrancy of Vanderbilt Ave. 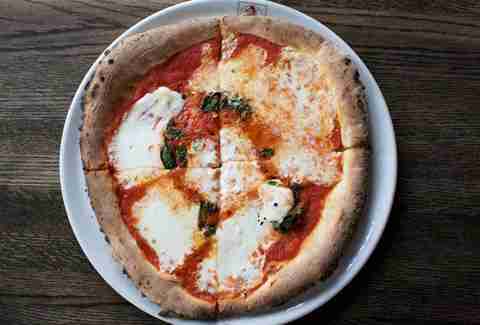 The anchor uniting both sides of Flatbush Ave remains Franny’s, the pioneering farm-to-table pizzeria that reopened in 2013 just a short walk away from its original digs. 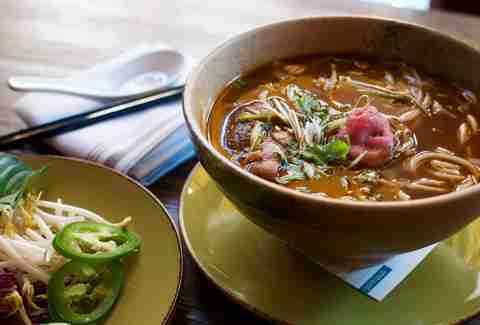 Together, the combined area is swimming in ramen, sushi, and every Americanized spin on Mexican food imaginable. The main problem here is the bedtime. This is a family-friendly, heavy stroller-traffic area, and restaurants tend to follow suit. Late-night eats are few and far between. 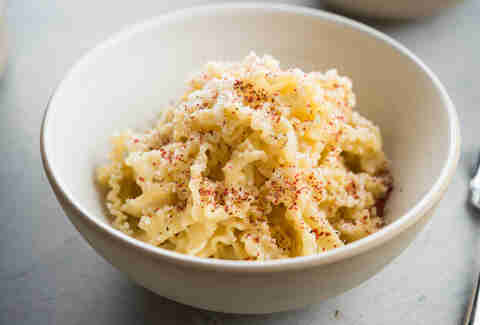 Gramercy/Flatiron is Danny Meyer’s town, really, with the Union Square Hospitality Group CEO behind the rustic Italian trattoria Maialino and Michelin-starred Gramercy Tavern, not to mention Michelin-starred Eleven Madison Park (also the No. 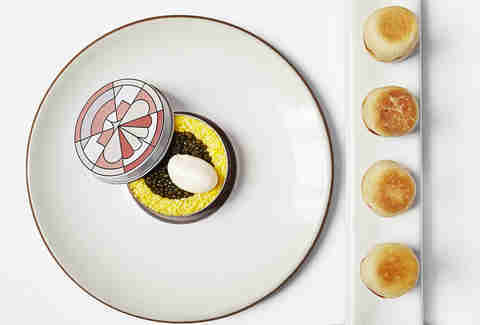 3 best restaurant in North America), which USHG sold to chef Daniel Humm and restaurateur Will Guidara in 2011. 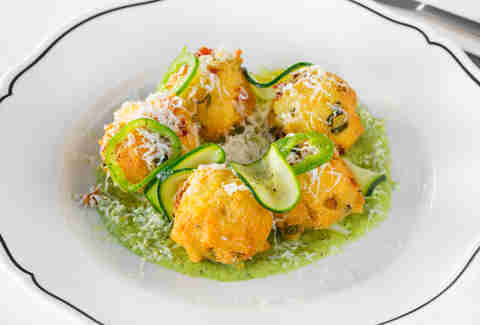 There are also reliable newcomers -- places like Upland and Le Coq Rico, which also tout upscale menus (one California-inspired, the other, very French) but are slightly more within budget. The area would honestly be higher up on the list if it wasn’t so hard to find somewhere you could go to for occasions other than your parents’ annual visit to town or your former roommate’s 35th birthday dinner. The one saving grace? Two of the city’s best, and cheapest, burgers: the perfect diner burger at Joe Junior, and the perfect fast-food burger at Shake Shack (also from Meyer, obviously). It’s obvious, sure. The hype around Williamsburg is far from dying down, but that doesn’t mean it’s all undeserving. The exceedingly popular Brooklyn neighborhood is home to two of the city’s absolute best places for steak: Peter Luger (obviously), and the slightly-less obvious St. Anselm, which does steak that’s arguably as good as Luger’s for far less. On top of that, Williamsburg ranks high for its wide variety of cuisines and price points -- from some of the city’s best BBQ at Fette Sau, to old-school red-sauce dishes at Bamonte’s, to definitely not old-school red sauce pastas at Missy Robbins’ Lilia. In fact, the only thing keeping Williamsburg from climbing higher up on this list is the fact that just about everywhere you go still feels like it’s trying hard to be “Williamsburg,” or at least, what we take that to mean in 2016. Like a lot of New York neighborhoods, the Lower East Side isn’t quite what it used to be (i.e. a gritty, politically radical, artist- and immigrant-dominated community) but it’s still a neighborhood that thrives on history -- seen in particular in its longstanding Jewish dining establishments, Katz’s Delicatessen and Russ & Daughters (the latter of which got a spinoff sitdown restaurant a few blocks away in 2014). In addition to the best pastrami sandwich and best bagel with lox -- which locals and tourists alike are still keen on waiting an unthinkably long time for -- the neighborhood is also home to a crop of newer places that have had a hand in shaping (or reshaping) NYC’s dining culture. Fabian von Hauske and Jeremiah Stone’s Contra and Wildair turn the traditional ideas of tasting menus and wine bars on their head with menus that are smart and inventive, but won’t set you back hundreds of dollars. Danny Bowien’s Mission Chinese Food -- a San Francisco import -- changed everything New Yorkers thought they knew about the scope of modern, Americanized Chinese cooking. And Amanda Cohen’s Dirt Candy, which relocated from the East Village to a larger LES location just last year, has completely revolutionized vegetarian cuisine in the city and beyond. As much as your Aunt Shelly from Jersey might try to convince you that the stale cannolis and nearly sauceless spaghetti in Little Italy are “just like nonna’s,” everyone knows the real classic red-sauce joints are found up in the Bronx on Arthur Ave.
Arthur Ave isn’t just a place to go have a beautifully messy plate of old-school lasagna Bolognese (though that’s something you absolutely should do, specifically at Tra Di Noi) -- it’s a way-better-than-Eataly meat, cheese, bread, pasta, dessert, and espresso paradise. You can easily spend a day poking around this stretch of Belmont, stoking up on stuff to take home from places like Mike’s Deli in the Arthur Avenue Retail Market (cured meats and cheese); Tino’s Deli (imported anchovies, olive oils, and pastas); Casa Della Mozzarella (fresh mozzarella and burrata); Madonia Brothers Bakery (olive bread); and Calabria Pork Store (the best sausages in the city). Once all that food shopping has properly tired you out, then you should go sit down at a red-checkered table at Tra Di Noi for that lasagna. Or at Zero Otto Nove for some Salerno-style pizza. Or at Artuso’s for New York’s best cannoli and a coffee. Arthur Ave is a place to take your time, and set yourself up for a week’s worth of leftovers. In the last few years, the East Village has gone through something of a Murray Hill-ification, which is to say, it got a sudden influx of former frat bros (for lack of a better term) who work on Wall Street and spend their nights drinking along the fratty strips of Second and Third Ave (The 13th Step, Professor Thom’s, Penny Farthing). There’s not A LOT wrong with drinking cheap beer and bragging about how many girls you slept with in college, but it’s fair to say some may find it off-putting. Then again, some people also found it off-putting when a once gritty, Polish-heavy neighborhood was infiltrated by high-end restaurants and expensive co-ops. The point is: New York is constantly changing, and the East Village may not be the “coolest” neighborhood anymore, but that has no bearing on whether or not it has great food -- and this remains true: East Village still has great food. The reason the East Village gets ranked so high on this list is because of its sheer diversity, density, and the fact that nearly all of its wildly acclaimed restaurants manage to keep the pretension levels low. From the cult-favorite honey butter chips at Oiji, to the fatty brisket at Ducks Eatery, to the ingenious yogurt kebabs at Babu Ji, to what is arguably the city’s very best burger at Brindle Room, to quite literally anything you could get at Momofuku Ko (assuming you can get in), the East Village is rife with dining options, nearly all of which deserve your time. As with any ultra-popular dining neighborhood, it may take a little while to get a table at these establishments, but it’s easy to kill time people watching and roaming the blocks that still boast old Polish and Ukrainian restaurants alongside Japanese dessert shops and Neapolitan pizza joints. San Francisco lays claim to America’s first Chinatown, but NYC presently boasts the most impressive one. And it’s not in Manhattan. Downtown Flushing is home to one of the largest Chinese populations on this side of the globe. 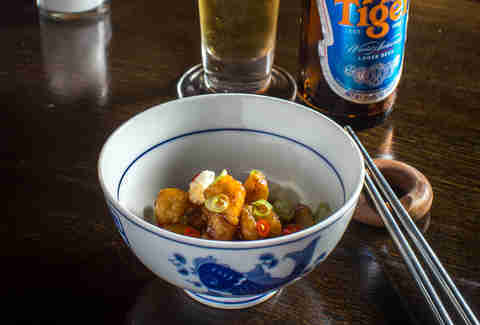 As such, it boasts some of the best Chinese food anywhere. 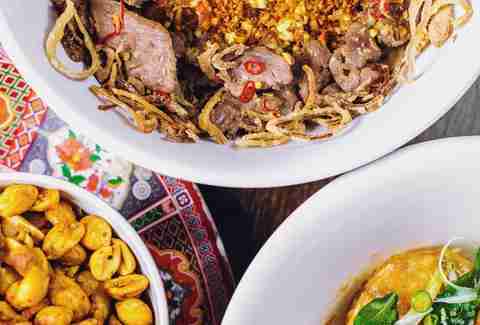 By that, we mean all kinds: from classic Cantonese and spicy Sichuan to lesser known regional cuisines like Uighur. And dining here is by no means limited to the many influences of mainland China alone. Take a quick look around the New World Mall food court and you’ll quickly get a sense of the continental Asian scope: dumplings, noodles, shabu shabu, teriyaki, takoyaki, oh my! Nearby, White Bear on Roosevelt Ave serves up the most incredible wontons in chili oil, while Fu Run, just around the corner on Prince St, offers delicious Northeastern-style cumin-covered Muslim lamb, and the original Joe’s Shanghai, on 37th St, keeps cranking out perfect soup dumplings like it has since 1995. In fact, there’s a dizzying array of specialties throughout the surrounding streets, like excellent Indian dosas at Ganesh Temple Canteen and respectable Korean-style grilled meats at Mapo BBQ. Flushing is also the birthplace of one of the city’s most addictive and fastest-growing restaurant chains, Xi’an Famous Foods, home of the tongue-tingling hand-ripped spicy lamb noodles, which could soon reach juice bar-level ubiquity in the city. With 11 locations (and counting) there’s a little bit of Flushing now in both Manhattan and Brooklyn, but virtually nothing of Manhattan and Brooklyn in Flushing. Not foodwise anyway. You could spend an entire day here eating up the neighborhood’s international smorgasbord and still spend less than a single meal at some Michelin-starred restaurant in Midtown. It’s the epitome of destination dining in New York City, and the closest you’ll come to Hong Kong without shelling out for the 16-hour flight. All you need is a subway card. And a tremendous appetite. Lucy Meilus is Thrillist’s New York Editor and does not have an Aunt Shelly from Jersey, sorry to say. Follow her on Twitter and Instagram. Chris Shott is Thrillist’s Senior New York Editor and has still only experienced Rao’s in 32oz jar form. Follow him on Twitter and Instagram.